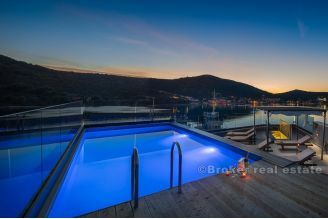 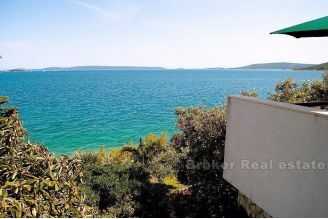 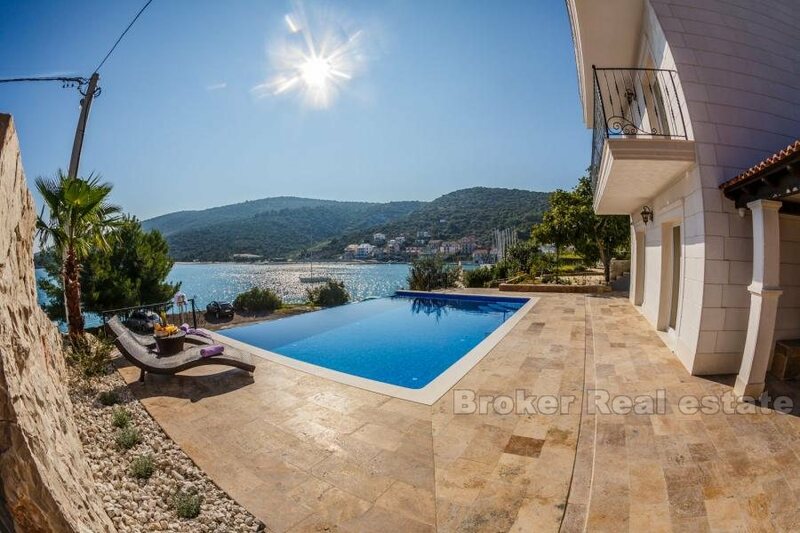 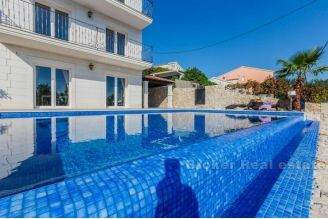 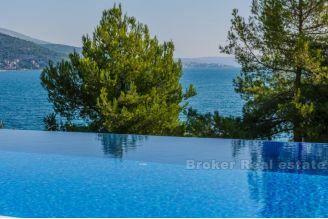 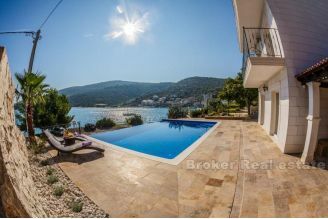 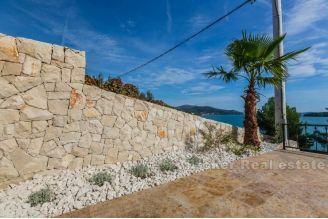 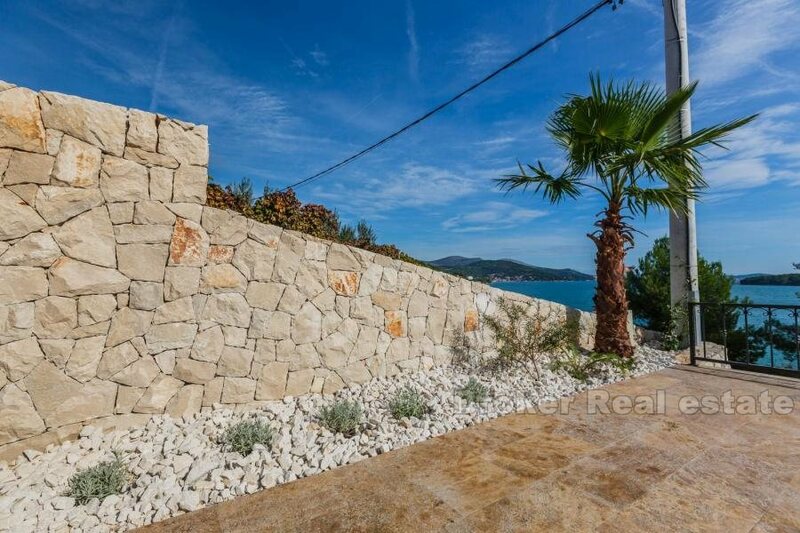 Five stars, stylishly decorated, modern villa with amazing sea views and a fabulously positioned infinity pool. 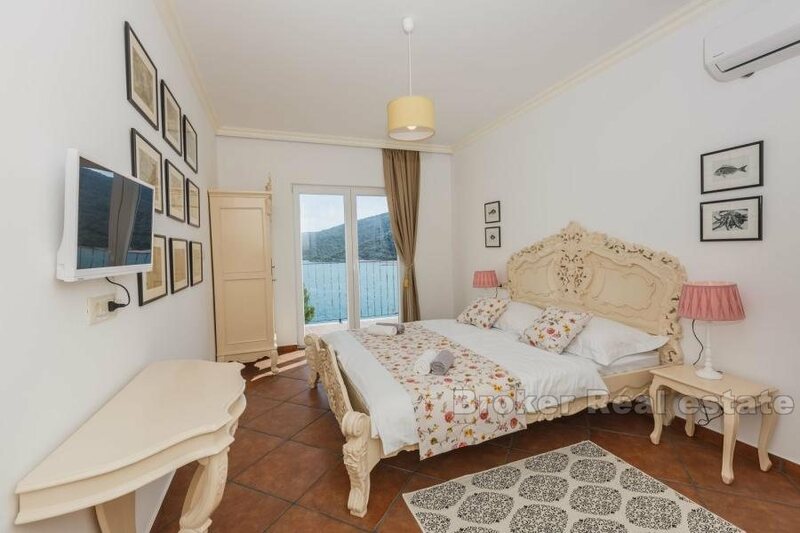 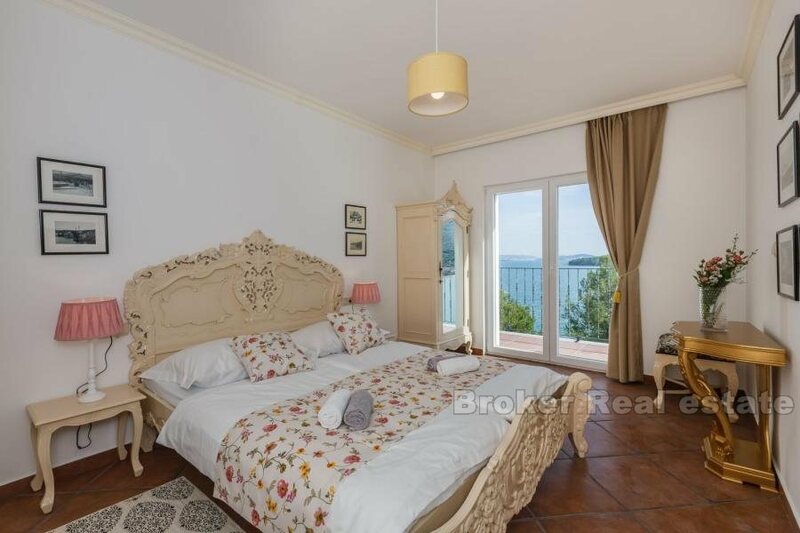 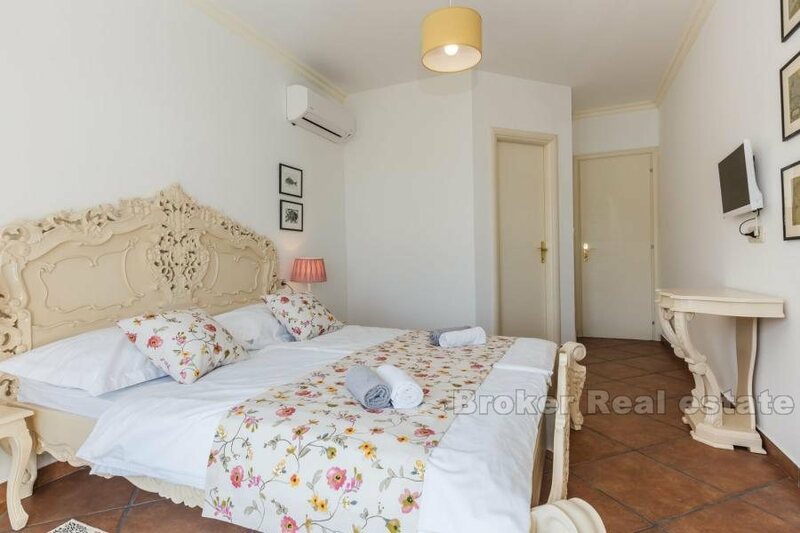 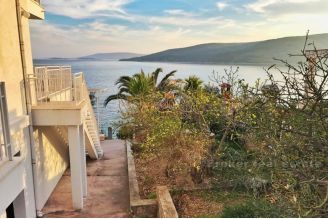 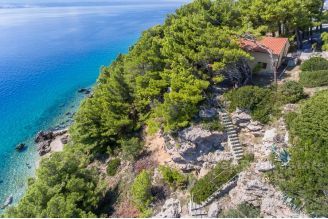 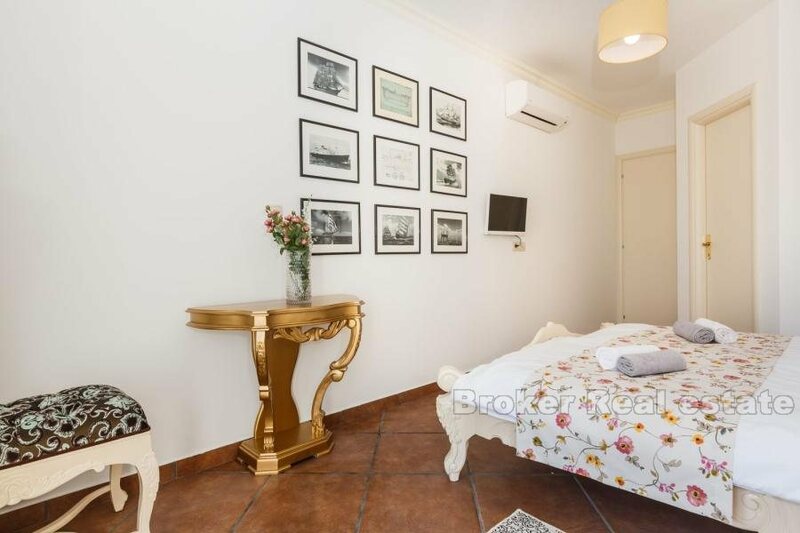 This beautiful seafront family villa has something for everyone. 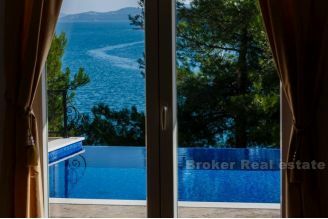 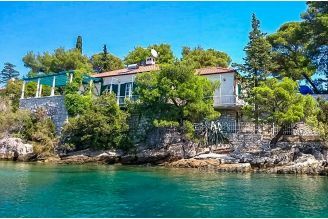 Blessed with superb sea views, It is a newly built villa incorporating all the necessary elements for a successful holiday home: clean lines, spacious and airy rooms, lots of light, sauna, gym, infinity pool and lots of outdoor space for cooking, dining and relaxing. 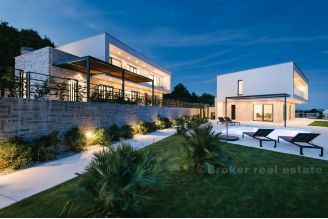 Most of the ground floor of Villa is given over to a large open-plan living-dining-kitchen area, with terracotta floor tiles and a series of French windows that communicate with the outside areas. 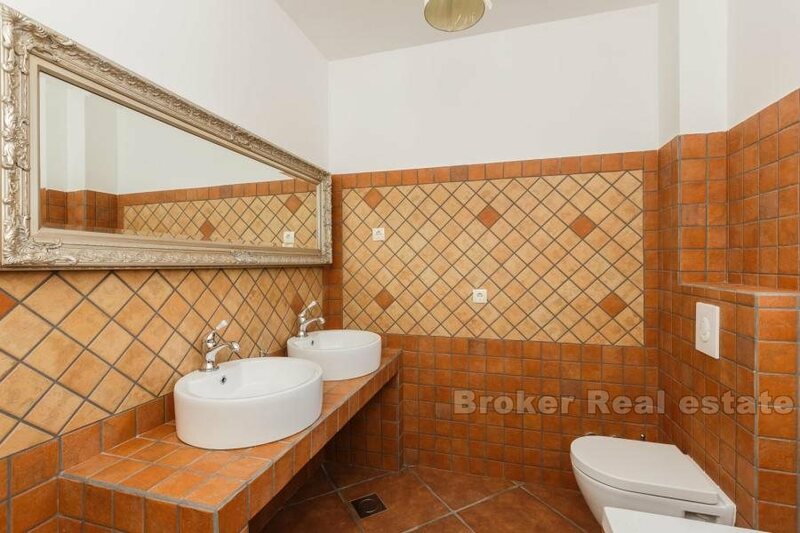 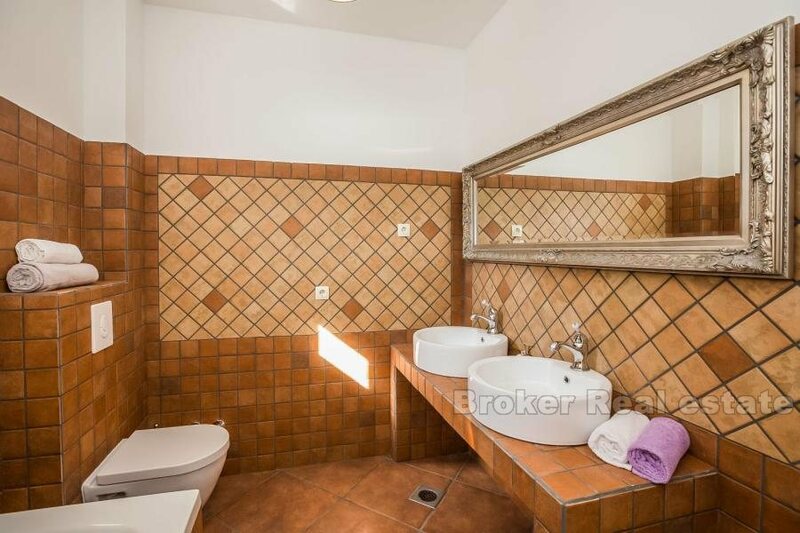 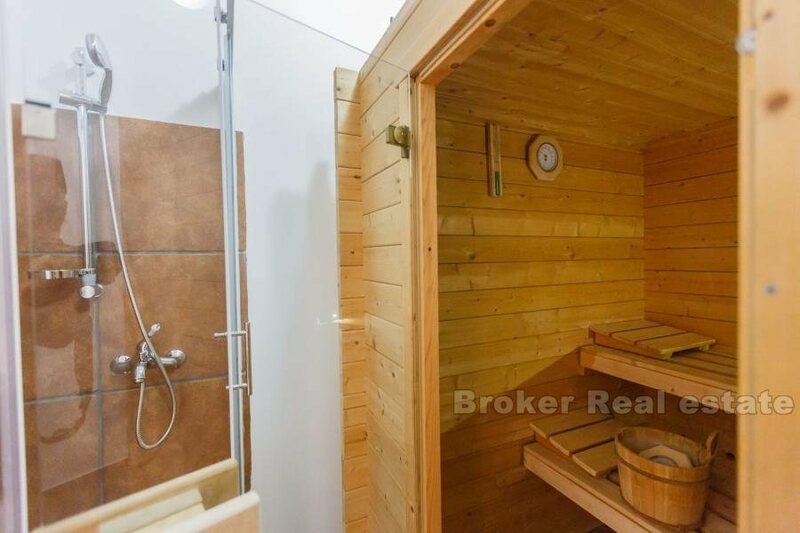 Also on the ground floor is sauna with shower room and a guest toilet. After climbing a few stairs, one arrives at the first floor, where two en-suite double bedrooms are located. 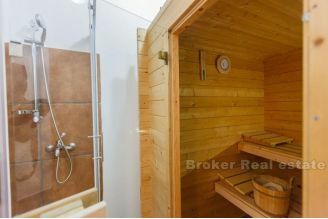 The first floor is also home to a small gym room with multifunctional exercise machine, exercise bike and orbitrek. Top floor features three more bedrooms, of which two have en-suite bathrooms. 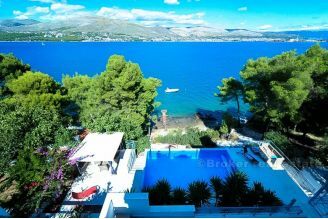 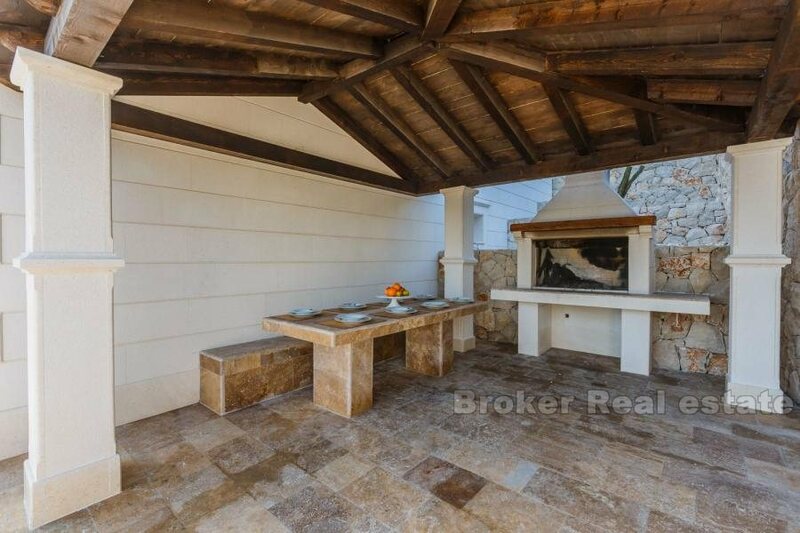 Villa is surrounded by a series of south-facing terraces, complete with lounge and dining areas. 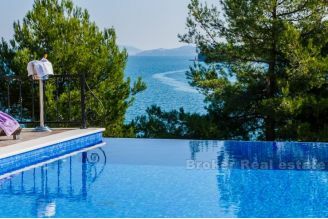 Sea views are amazing, especially from the infinity pool, which will almost certainly end up being the focal point of your holiday!